As fans wait to see the conclusion of Marvel Phase Three, the studio has started moving forward on what could be one of their Phase Four movies, The Eternals. Marvel has brought on writers Matthew Firpo and Ryan Firpo, whose World War II spec script Ruin landed atop the Black List last year, to write the script for The Eternals. No director is attached at this time, and Marvel hasn't set a production schedule or release date quite yet, but it was already confirmed last month that this project was in development at Marvel Studios. The Eternals were created by Jack Kirby, first appearing in The Eternals #1 in July 1976. This was the first comic Kirby worked on upon his return to Marvel, after a stint at DC Comics where he created an epic superhero saga known as New Gods, which is in development as a new movie at Warner Bros. for director Ava DuVernay. The Eternals and New Gods are thematically similar, and they also share similar plights, with both original runs being cancelled before several plot discrepancies could be cleared up. The Eternals are a race of humanity that were created as an offshoot of the evolutionary process that ultimately created sentient life on Earth. They were created by alien beings known as The Celestials, who had intended for The Eternals to become the defenders of Earth, as they waged war against their nefarious counterparts known as The Deviants. The first volume of comics ran from July 1976 to January 1978, with The Eternals brought back with a 1985 mini-series written by Peter B. Gillis, that went from October 1985 to September 1986. Neil Gaiman and John Romita Jr. brought back The Eternals with another mini-series that spanned from August 2006 to March 2007, which brought The Eternals into the modern Marvel universe, with an ongoing series launched in August 2008, although it only lasted until March 2009. There is no indication yet if any of these specific comic book runs will be used for The Eternals movie, or if the new writers will craft an entirely new story to fit these characters into the ever-changing landscape of the Marvel Cinematic Universe. There have been several different characters who have been part of The Eternals throughout the four volumes of the Marvel comics, but there is no indications as to what characters may be used in this movie adaptation. 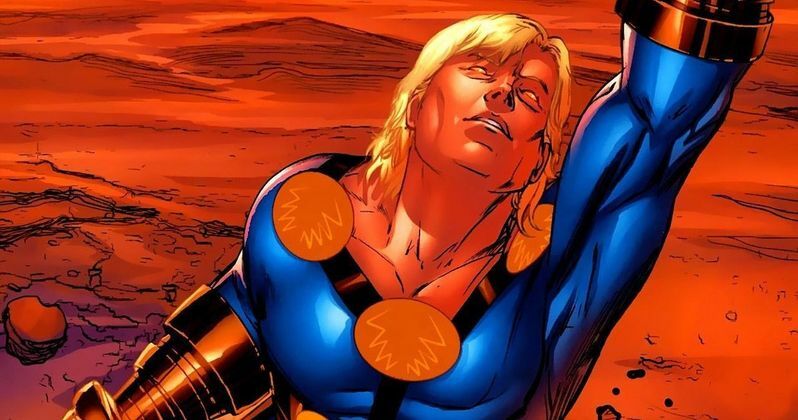 The first reports about an Eternals movie surfaced in mid-April, with Marvel Studios president Kevin Feige confirming at the end of April that The Eternals is in fact in development for Phase 4 of the Marvel Cinematic Universe. Many think that the Marvel blockbuster Avengers: Infinity War even set the stage for The Eternals, during a scene where Thanos is referred to as the son of A'lars, who was also known as The Mentor and the founder of the Eternals colony on Thanos' home planet of Titan. This new first broke on The Hollywood Reporter.